September 13, 2018 11:22 am. Darktown Strutter will attempt to win her first 1200m-race and her first a Doomben. Trainer Kelly Schweida has a couple of reservations ahead of the speedy Darktown Strutter’s first attempt at 1200 metres. Darktown Strutter has won seven of her 11 starts but will be having her first crack at the distance in Saturday’s Rostron Carlyle Rojas Open Handicp at Doomben. The mare is has proved unbeatable at the Gold Coast where she has won five times from five starts including four at 900m. Her other two wins have been over 1000m and 1100m. Schweida has no real concerns about Darktown Strutter getting 1200m under normal circumstances. “But this is Plan B as we had intended to head to Sydney for an 1100 metre race last Saturday but it rained,” Schweida said. “She can’t go a metre on wet tracks and that is a bit of a worry for Saturday here if we get any rain. 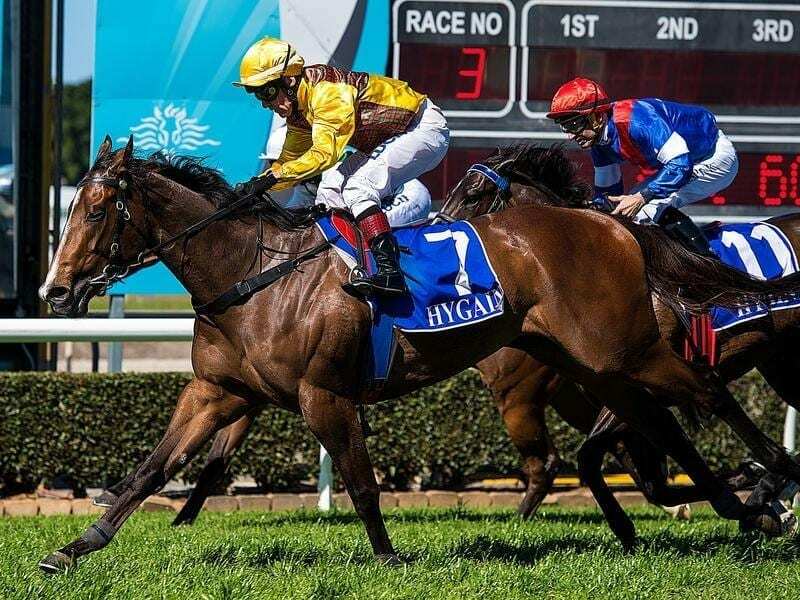 The Schweida-trained Outraged was not among the acceptors for Friday’s Newcastle Cup and will instead run over 2200m at Doomben. “The 2200 metres will suit and Clayton Gallagher will take three kilos off his back. The Newcastle Cup was an option but he has had no luck up here lately and this does look a better race for him,” Schweida said.